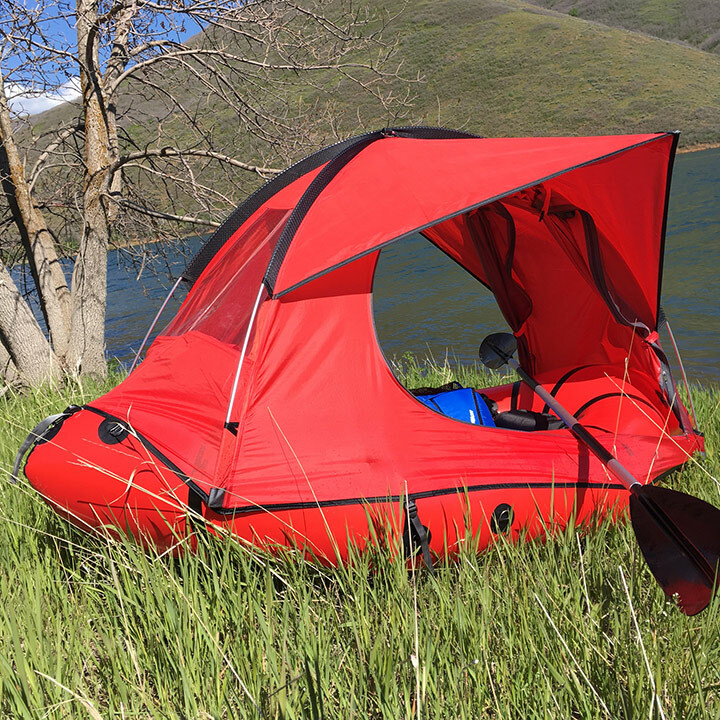 Introduced by Evan Glassman, the traft is a combination of a packraft and a tent that allows the paddler to be comfortable while out on the water. 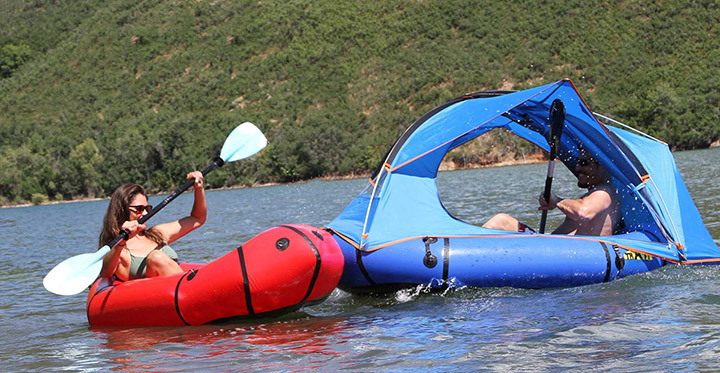 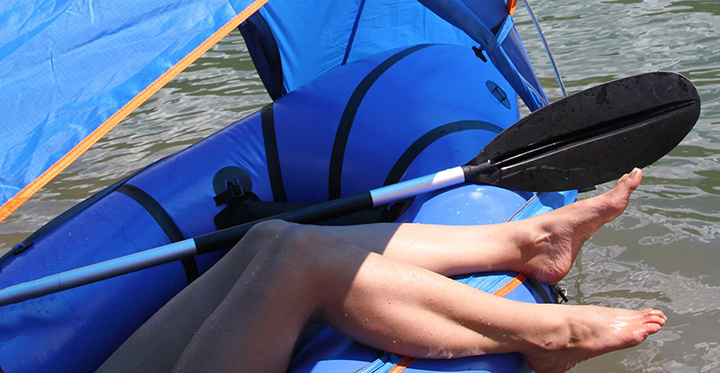 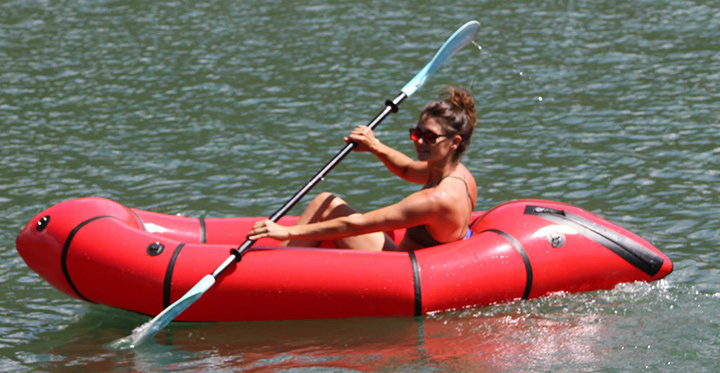 The Traft includes a packraft that's relatively small weighing just 8 pounds with an inclusive tent has been designed to act as a complimentary piece to the raft and can be added or removed as needed. 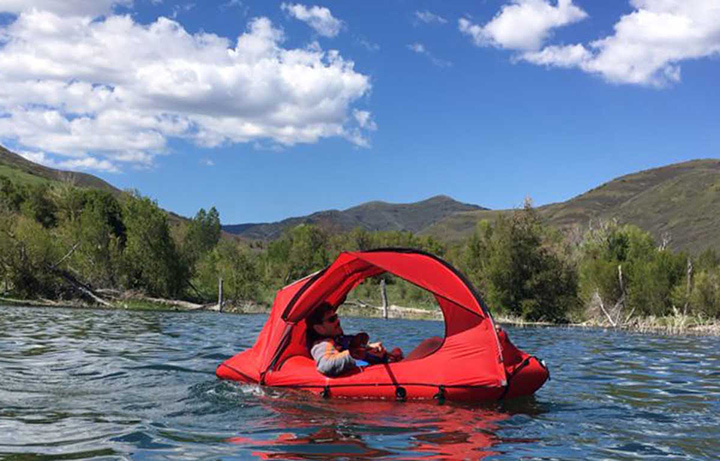 which also can be used as a shelter on shore as well.